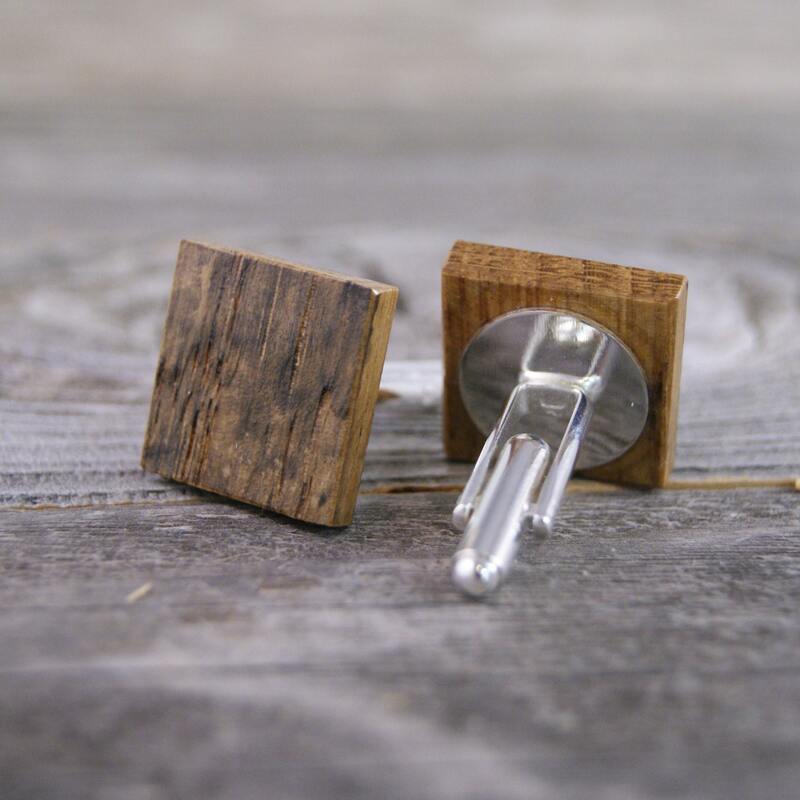 No bezels here - you'll only see the raw, naturally weathered white oak wood, front and center. 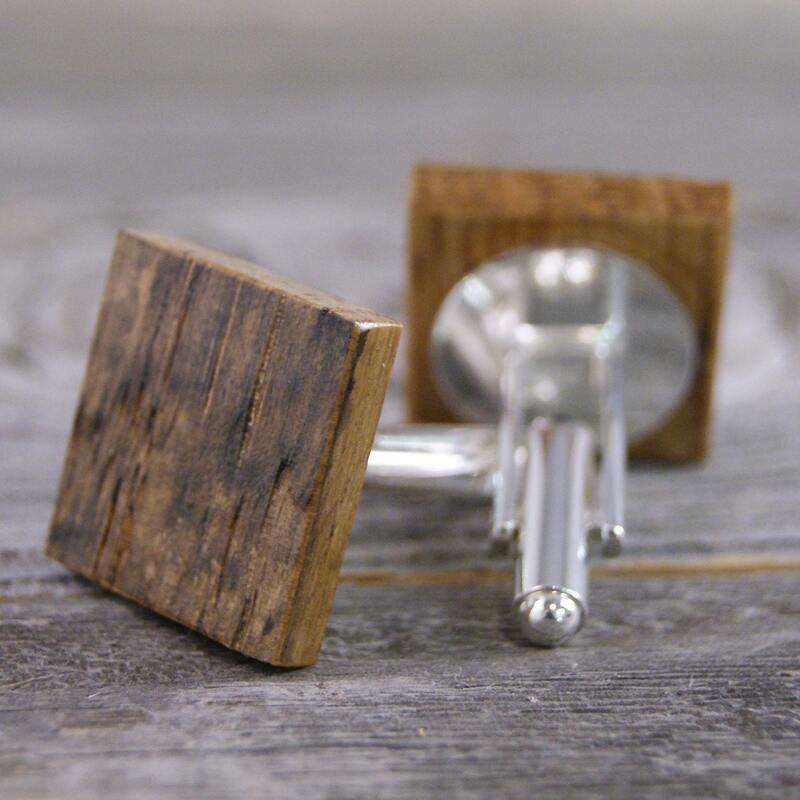 These cufflinks have been crafted by hand, by me, in my home woodshop located in Forest, Virginia, USA. I don't use stains or dyes - these are finished with a clear wax and shellac blend, and buffed by hand. 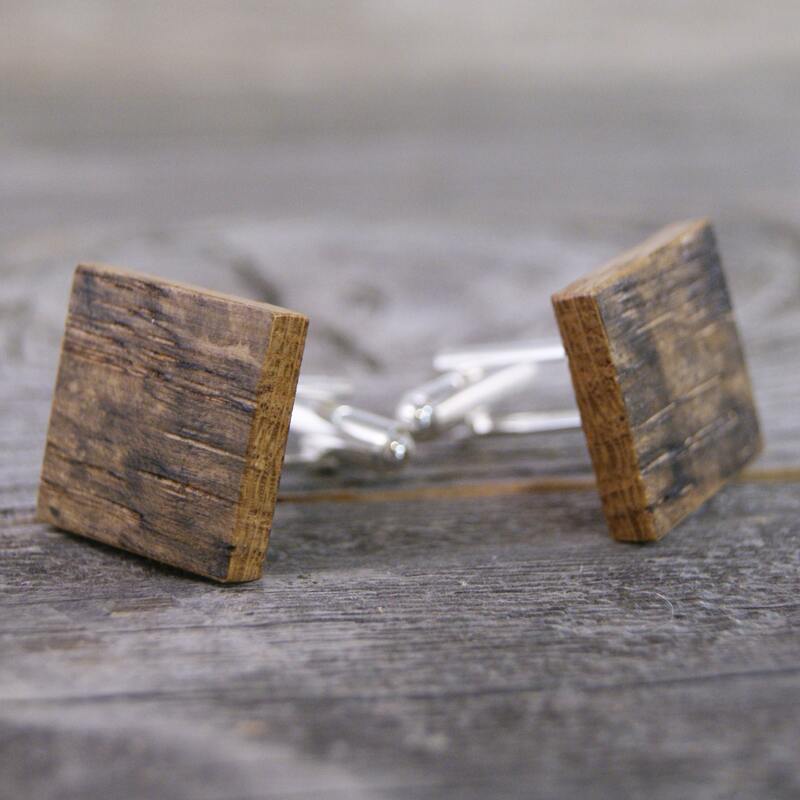 These are made to order one at a time, so yours may have a slightly different grain pattern. 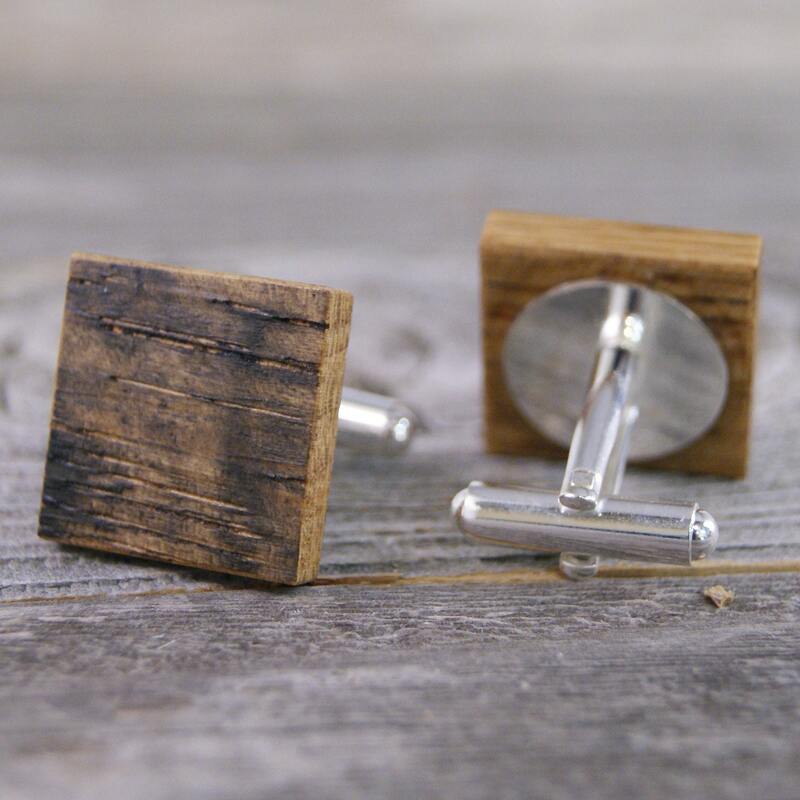 These cufflinks are crafted from the weathered wood of a recycled whiskey barrel that has been naturally weathered over time. 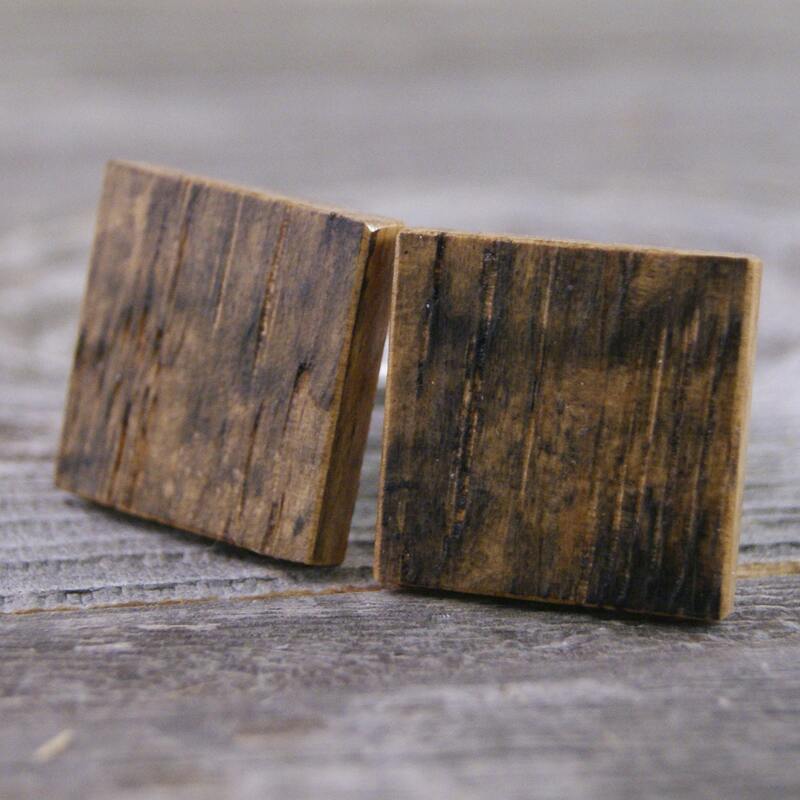 The wood is reused and given new life instead of being discarded and wasted.